From £139.99. The newest Steampod 2.0 has a wide range of innovative expert features. 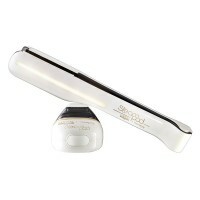 The more compact, slim and light handle makes the new Loreal Steampod more versatile than ever. The Loreal Steampod 2.0 is more functional than ever before, with 5 temperature settings from 140°C to 210°C, whilst maintaining its sustainability with anodized floating plates. Use the Steampod tool with our tailor-made range of haircare products, including leave-in creams and serum, for optimum results both in-salon and at-home. Designed to give you beautifully sleek and manageable tresses, this is a new innovative invention from L'Oreal that can be used to create a variety of finishes, from smooth and supple looks to soft, tumbling waves. The Loreal Steampod 2.0 is similar to the traditional salon blow dry, except this treatment requires use of an ingenious preparation cream, enriched with cuticle-smoothing keratin, which is to be applied to shampooed hair before expertly blow-dried. Then working to deliver a localised stream of high pressure steam to the hair shaft, deeply hydrating the hair without causing heat damage, the Steampod 2.0 gives you a high gloss finish that looks fresh from the salon. With up to 5 temperature settings to suit all hair types, especially good for coarser hair, the Steampod 2.0 boasts a water filtration system to produce pure steam to rehydrate and nourish damaged hair while the smoothing blow dry creams are packed with Pro-Keratin technology to help rebuild and strengthen fibres to leave hair looking smooth. 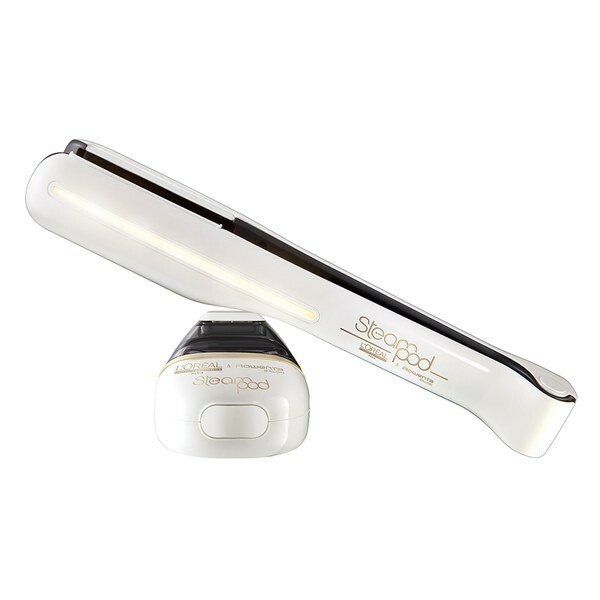 Continually releasing steam whilst the ceramic plates straighten, the new Loreal Steampod 2.0 gives you amazing results that will last until your next shampoo.